For today’s edition of Dear Mark, I’m answering three questions from readers. First up, what’s the deal, exactly, with melatonin supplementation? Is it harmful? Dangerous? Will it impair our body’s own production of melatonin? Second, a reader wonders whether his past poor health decisions are sabotaging his health today. Even if he’s feeling great now, shouldn’t he worry about the permanent effects from all that pizza he ate and sleep he didn’t get back in the day? And finally, some people recommend against sprinting or high intensity interval training for women. Is it true? Should women only go gently into the gym to tread lightly on ellipticals and avoid all that sweaty, icky fast stuff? What’s up with melatonin? I’m 50 and have had issues sleeping for several years now–might be related to peri-menopause. Just read in Trust Your Gut that taking melatonin can help with digestive issues such as bloating or cramping. I’m thinking of adding this supplement to my ritual–I already dim the lights and prepare well ahead of time (1-2 hours) for sleep yet wake every night. Any dangers I should be aware of? Melatonin is actually quite safe. There’s no evidence that melatonin supplementation will down-regulate normal endogenous production of the hormone. It’s a commonly-held concern with melatonin, but it’s just not the case whether you’re supplementing with 0.5 mg, 2 mg, or 5 mg. When you take melatonin matters; do not take it in the morning or afternoon. It is a hormone designed by evolution to hasten the arrival of sleep. Supplementation of melatonin, then, is meant to closely mimic the natural elevation of melatonin. It peaks at night, so take it at night. 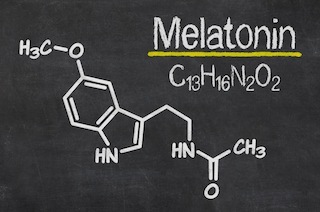 The real power of melatonin lies in its ability to adjust your circadian rhythm. That’s why it’s integral to my anti-jetlag routine, and why researchers have found to it be far more effective than placebo in dealing with jetlag. Taking it before your desired bedtime in the new timezone will help establish that time as your body’s bedtime. But it also means you can use melatonin to misalign your circadian rhythm if you take it too early, like in the morning. This can have disastrous effects. Like when postmenopausal women took 1 mg of melatonin every morning at 8 o’clock sharp. This harebrained way to take a sleep hormone drastically impaired their glucose tolerance and insulin sensitivity, partially because of circadian phase shifts. Don’t eat after taking melatonin and make sure you take it at least an hour (ideally more) after eating dinner. Acute doses of melatonin seem to inhibit insulin sensitivity, regardless of when you take it. This initially sounds “bad” but makes sense, since you generally shouldn’t be eating massive amounts of food at bedtime. You probably don’t need high doses. Some studies indicate that lower doses (around 0.5 mg) are just as effective as higher doses (5 mg), and possibly more effective. Higher doses are fine, mind you. They just may be unnecessary, and the lower doses are better at mimicking the normal physiological levels. To mitigate the effects of light at night. You do your best to avoid artificial light at night. You wear the blue blocking goggles. You burn free range grass-fed tallow lamps. You’ve covered your 50 inch LED TV in blue-blocking saran wrap from the folks at LowBlueLights.com. Yet there are those times that artificial light slips through our best-laid defenses to enter our vulnerable pupils, thus inhibiting melatonin production and phase delaying our circadian rhythm. When that inevitably happens, or will happen in the near future, taking melatonin (5 mg in this study) can partially offset the circadian phase shift. After a night of drinking, take some melatonin. It can protect the gut against alcohol’s degenerative effects on the epithelial barrier. And if alcohol makes you wake up to urinate in the night (or if you just wake up to urinate too often in general), melatonin may help as low levels of the hormone are associated with nocturia (or nighttime urination). Melatonin is a pretty benign supplemental hormone, provided you actually need it and take it at the right time (1-2 hours before desired bedtime) and only take as much as you need to get the desired effect (sleepiness). I have been on a “health kick” for the last year and I feel incredible. 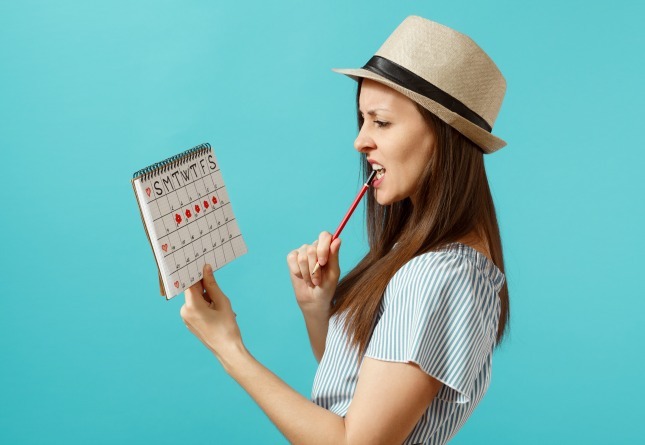 However, I’m curious about whether my past habits of a poor diet, no exercise and high stress will effect my current and future health, despite improving my habits recently. I’m only 20 years old if that helps. Our cells are regenerative. The past can’t be rewritten, but it can be overcome and rendered essentially obsolete. Even still, what would you do if that weren’t the case? Would you lament the fact that you ate pizza and drank PBR for two years straight in college? Are you going to let your high school late night online gaming and Mountain Dew habit derail your efforts at getting healthy? If you do that, if you let any poor health decisions made in the past linger in and cloud your mind, you will destroy yourself. This is spilt milk on a cosmic scale. So your belly fat is a little more stubborn than you’d like. So a sugar monster lurks beneath your resolve, and probably always will. There is no sense in obsessing over what you cannot change. If you’re going to pore over your past, do so constructively and with a clear objective: to learn from your mistakes and revisit them to identify what you shouldn’t do. Look: if your mother carried you to term as war raged in the streets around her, food was scarce, liquor plentiful, and stress high, maybe there would be long lasting repercussions due to maladaptive epigenetic triggers to gene expression. You are what your mother, father, and grandparents ate (and experienced), after all. Those are tough. But even in that “worst case” in utero scenario, what can a person do but continue to make the best choices they can today, here, now? You’re not helpless, is my point. There are things to do. Promote autophagy, for one. Autophagy is cellular clean-up, the breakdown, metabolism, and recycling of broken cellular components. Autophagy is anti-aging; it keeps cells running like new (healthy centenarians tend to experience higher baseline autophagy than shorter-lived populations, for example). Because an unhealthy lifestyle may have sped up the aging process, autophagy becomes more important than ever to slow further degeneration. Get lots of sleep and only stay up late when it’s worth it, like if you have good friends over for dinner that lasts late into the night, or it’s the only time you can watch a really great movie with your loved one curled up on a couch. Don’t stay up late watching reruns of bad TV. Make your sleep deprivation count for something, and keep it acute and intermittent. Speaking of intermittent, fast every once in awhile. You don’t have to do it on a schedule, or even every week or two. It doesn’t have to be an entire day-long affair. But intermittent fasting has the potential to increase autophagy. In all likelihood, you’re probably already doing much of it. You’re sleeping better. You’re not eating as much food as you used to eat, and you may even be skipping meals from time to time. How do I know this? You said it yourself: you feel incredible. That’s the most important health marker of all. Again, don’t worry about your past. Don’t forget your past – because it’s a roadmap of what not to do — but don’t dwell in it. Thanks for all the good information you put out there! It is much appreciated. I do not expect a reply. I was just hoping you would consider covering the topic of HIIT-style workouts and female hormonal balance. People like Alisa Vitti advise women to stay away from HIIT because, in her understanding and knowledge, they disrupt hormonal balance, which, as you know, is much more delicate in women than it is in men. Anyway, just wondering if you could give us your two cents on this at some point. I’m not too familiar with Alisa Vitti’s material, but what I could find suggests that hers is not a blanket condemnation of interval training, sprints, or intense exercise in general. In Womancode, she identifies sprinting as a “stressor” for the adrenals that can sap at a woman’s already-lagging libido. If you’re trying to recovery your libido, she recommends favoring long leisurely walks over sprints. I don’t disagree, in general. If a person is dealing with undue amounts of stress, adding high-intensity interval training may represent too great a stress additive, rendering it less effective if not altogether counterproductive. Improves aerobic fitness to a greater extent than regular cardio (in overweight women). Sprinting (running) induces fat loss (in healthy young women). Improves body composition whether performed fed or fasted (in overweight/obese women). Improves glycemic control and insulin sensitivity (in overweight women), even when combined with another stressor (resistance training). You can definitely do too much sprinting or HIIT. But in most situations, sprinting once, maybe twice a week can only be beneficial. That’s it for today, folks. Thanks for reading and be sure to leave any input or advice for today’s round of questioners down below! For whatever reason, I cannot tolerate melatonin supplements. I’ve experimented with the doses, but I always wind up having a horrible night’s sleep and wake up with a bad headache. Make your own melatonin. Go outside in the morning and spend some time in the early morning sunshine without any sunglasses. That will kickstart your melatonin production for the coming evening. You’ll be getting your own natural human melatonin instead of questionably sourced animal byproduct melatonin. Same here! No matter what dose I tried, I always had the worst night’s sleep ever. Makes me feel hyper. If you live in a state that allows it, a tiny piece of Indica infused marijuana chocolate will do wonders. We’re talking 2-5 milligrams of THC tops, one hour before bed. You won’t get high, just relaxed and sleepy and wake up refreshed. Great for calming your brain’s stressed induced chitter-chatter that can really interfere with restful sleep. I use it ocassionally and a friend of mind, who’s an high functioning super achiever, has cured his lifelong insomnia with it. My state (TN) doesn’t allow it. I’ve heard black cherry juice helps the body produce melatonin. One of my old co-workers swore by it. I’ve taken it before and didn’t notice any significant improvement in my sleep, but also wasn’t monitoring it too closely. We definitely cannot analyze past failures and then determine our future. We must determine the best future for our life, and then analyze our past to help us guide our steps with better vision. In me, a woman of 60 years completely through the change, there is a point in the middle of my arm pit at the top of the rib cage that can be massaged when I wake up at 3AM. That seems to help release the hormone that should automatically release then to keep me asleep until I wake up naturally at about 4:30/5:00. I took melatonin but did not “see” a difference nor an improvement. I may try it again to see if I adjust the time I take it matters. Presently, L-Tryptophan seems to help me sleep as well as wake up calm and happy. I would rather NOT wake up at all between 11PM and 4:30 AM but it happens more often than I would like so maybe another experiment may be in order. As you said, it’s common to think supplementation reduces the amount of melatonin produced by the body and indeed I’ve read that it does so in several places. I couldn’t find any references that studied that question. Are there any that you know of? I feel like every day someone is telling me that a health practice won’t work for me (or won’t work as well, or should be avoided) because I’m a woman. *sigh* I do what I want anyway – which includes HIIT workouts, but I’m still a little frustrated. These things all work so well for men, but women? Stay away! Right? Female hormones are ‘more delicate’? P’shaw. How about the norm has always been whatever male hormones do and female hormones are the ones that have to live up to male, rather than the other way around. Which of course, just reflects how women are talked about in general. Sure, there are differences, but none that justify that women are more delicate or can’t handle what men can under the appropriate circumstances. The conclusions Mark refers to mean that anyone under undue stress, not just ‘the ladies,’ might have negative results with high intensity exercise. Thanks, Mark! I took melatonin every night for several years while working rotating shifts. It was the only way I could get enough sleep to function. I did find out that less is more, at least for some of us. 1.5 mg is about right for me. Larger doses have a very unpleasant opposite effect and make me feel like I want to jump out of my skin. I find valerian more helpful than melatonin. The melatonin, even in very small doses, produces wild dreams and leaves me feeling hungover in the morning. Valerian just smells like cat pee. ???? Melatonin changed my life. I’ve struggled with insomnia since high school. I’m sure my habits (working/socializing on the computer or doing homework late at night most nights) didn’t help, but it contributed to a vicious cycle where even when I tried to clean up my act, I couldn’t fall asleep for hours, and then I didn’t get enough sleep, and then would crash in the afternoon, and then hit my “second wind” at night, and so on every day. Melatonin has allowed me to live like a normal person. I guess I’m one of those people that it works really well for. I sleep great (knocked out 30-45 min after taking it), sleep deeply (no weird dreams, etc. ), and wake up without any apparent excess grog (just normal grog – depending on when my sleep cycle is interrupted). I’ve tapered my dose down to 0.5 mg (half a 1 mg sublingual). One of my favorite things about melatonin is that it helps my efficiency. Now I know that if I want to go to sleep at 11 PM and wake up at 7 AM, I can go to sleep at 11 PM. No longer do I go to bed at 11 PM and actually fall asleep at 1 AM. So frustrating to have two hours of your day be “wasted” just laying in bed trying to sleep. Right on about the melatonin dosage. I’ve always been amazed when people talked about taking several mg’s of melatonin. Where I live, they are sold in tiny little pills that contain 0.1mg each, and the recommended dose is five of those, although I sometimes only take three and it works fine. So the consensus now a few years later is that melatonin doesn’t reduce your body’s own endogenous production? I’m compelled to research this a bit more myself. For the record, the rest of that post seemed like good sense to me. I will keep that anti-jet lag routine in mind for future travels. Yes, I am disappointed that Mark didn’t make any reference to his earlier post and explain that he was now changing his position. My psychiatrist, who I see for a sleep disorder, told me the same thing about melatonin–that the body stops producing it endogenously with regular supplementation, but that I could take it for 3 days a week with no problem. Yes, my views have changed a bit since I wrote that article 9 years ago – in 2006 – and in light of new research. The gist of that original article, though, was that most people seem to be unaware of the fact that melatonin is a hormone and that it should be handled with care, as described above. The majority of that article, in fact, deals with the jet lag question, and reiterates what I said above. I’ll add an update to that original article to help avoid any confusion. Thanks for pointing that out, Wally! Grok on! This is why I trust MDA–it’s better to be correct than consistent, and I’ve been reading MDA long enough to see it become much more sophisticated and nuanced than other paleo blogs that rely more on “logic” than empirical evidence. Thanks, Mrs Rathbone! I’m researching this now and finding more scientific research backing the interrupted night of sleep. Something to look into further and pay attention to the difference between waking mid-night and inability to fall asleep at all. I’m a menopausal woman in my 50’s. I have no trouble falling asleep at bedtime, but always wake in the middle of the night. My solution is to leave one tablet of a supplement containing melatonin (Costco’s Super Sleep) out where I can find it in the a dark (tiny little dish in the bathroom) and take it at 1 or 2 am or whenever I get up to pee – helps me to seamlessly get back to sleep 90% of the time. This has worked for me for about 2 years, intend to keep doing it. I’ve tried it at a 3 mg dose….I’ve even broken the tablets in half. I don’t seem to be able to tolerate it. I get the strangest dreams. Not nightmares, but dreams that seem to go on and on. Vivid dreams, people from my past, people I’ve forgotten. I’ve stopped trying to use it. Linda, that quote is a scream and I love it!! Thanks for sharing. I have to be asleep every night between 7:30 and 8:00 in order to be up for my early shift at work. There is only a short time in the middle of winter when it is fully dark at that time. Even if I avoid tv and devices before bed, there is still too much light around. I too noticed the change in tone from the post back in 2006 but as you stated, that was a long time ago and there has been a large amount of research on the general safety of Melatonin. I agree that the safety profile of the hormone is good, but would you still recommend using it for those who use it every night as a sleep aid? For some, it can be very useful but I think too many people are using it when they don’t actually need to. Sure, this may not pose any significant health problems but it just doesn’t strike me as natural I guess. In regard to the poster of the question I wonder if he got checked out on what was causing his digestive issues. I’ve been taking melatonin almost every night (might have missed 5 or 6 nights when I was travelling or otherwise had none) for nineteen years. To someone who has suffered from delayed sleep syndrome since childhood, it’s a Godsend. When I discovered it, it changed my life. I know people who get nightmares from it, or who feel it makes them groggy, but for me, it means a good night’s sleep on a schedule. A real schedule, as opposed to the way things used to be, when I’d sleep when my body decided it would let me, and not before. I’ve noticed no side effects at all. Is there a particular brand/product that you prefer/works best for you…if so what is it please. i’ve been trying different melatonin products with various degrees of success/failure…so interested to know which one you are having success with. Awesome answer for question number 2. You can’t change your past, so why beat yourself up about it!? It’s all too easy to go back and think about bad decisions you made, but what does that really achieve? All we can do is move forward and focus on the decisions we still have the power to make. And you’re 20 years old, man. Much better to find your turning point now than in another 20 years time like most people. If anything, you’ve got a head start! I’ve tried 1 mg doses of melatonin, but my sleep was very restless. I fell asleep quicker, but I kept waking up several times during the night. I might try a smaller dose next time, to see if that works better. Maybe a sleep mask? Covers the eyes and blocks the light. I agree, I wear an eye-blind when I can’t block the light well enough, as is currently the case living full time in a motorhome! I also wear ear plugs as I find the bird activity at this time of year is also very disturbing. As far as I know melatonin is still not available in the UK, at least not OTC, although I haven’t looked in a long while. I have tried it in the past having bought some in the US but haven’t found it helps. Blocking blue light (glasses from an hour or two before sleep) and limiting screen time/mentally activities and ensuring the sleeping environment is dark and quiet is what helps most although I still struggle at times but I’m sure that is all down to life stress and that’s a work in progress. Thanks for hitting upon the question of melatonin. Very informative and good to hear it won’t mess with any natural production. That was a big concern of mine since I had read several times that it would. Thanks for clearing that up! From what I’ve read from Alisa Vitti, she isn’t saying women shouldn’t do HIIT or any other intense training. She says that you should be careful about WHEN you do intense training. She encourages women to adjust their physical activity to their changing hormones. At the beginning of your cycle, rest and let your body recover… once your estrogen levels are up again and your energy levels begin rising, she encourages more intense exercise. Then, about a week before your period, as your estrogen levels begin falling again, she encourages women to start slowing down. In her book she encourages women to work with their bodies and changing hormones, rather than for beating yourself up when you don’t have the energy to run sprints. I was given one melatonin brand by a naturopath for hot flashes/sleep disruption brought on by menopause. That one didn’t work for me, but I swear by Schiff Melatonin Ultra (Costco sells it). It contains 3mg Melatonin, plus L-Theanine, GABA and Valerian. It puts me to sleep and I sleep through the night with no hot flashes. 5mg dose “significantly impaired glucose tolerance” in healthy women. I’ve started to think melatonin, which I’ve taken for about 2 years, may have caused weight gain. I thought because I was perimenopausal, the weight gain was just that; but looking at some of what’s been said about insulin levels and the fact that you likely sleep more restfully, I am wondering if a side effect is either lower metabolism (from more ‘solid’ sleep) or weight gain from glucose intolerance. I feel that it’s possible that there is this secondary side effect going on with melatonin. It’s just odd that the weight gain coincided so much with my taking melatonin. I have not found any research hinting at this possibility however. Any ideas? I would love to hear them. Omgoodness…I am in the exact same boat except that I am 51 and started taking melatonin 5mg 5 months ago. I have gained 4 pounds a week – I workout a lot and am eating the same. I am wondering if its the melatonin to blame??? Melatonin. We simply must stop grading treatments as either good or bad. For someone with adrenal fatigue and low cortisol it can a nightmare. Melatonin lowers cortisol, so taking it can bump up adrenaline even further, the worst thing for adrenal fatigue related insomnia. Do a search on melatonin and marek Doyle. The guy is the bomb. I’m living in France, and I’ve just read up on MELANINE which translates to MELANIN, but I’m wondering if the translation is wrong? I cannot find a translation for MELATONIN. Do you know the scientific name or the word in French? The product I found here from an organic supplements manufacturer derives the “element” from black olives. When combined with “L-tyrosyne” and “copper”, it is supposed to boost one’s capacity to protect and nourrish one’s skin while getting a nice, young-looking, glowing skin color when out in the sun (tanning). So, do you think we are talking about the same thing??? Thanks for the information its very informative. Keep up the good work. Any comment on this new article claiming Melatonin might help with fat loss (especially abdomen)? I am Keto now, and going well, but anything to keep mobilizing stored stomach fat would be a plus!